Will you be a part of Kolkata’s Biggest Forever 21 Sale?! BIG NEWS, KOLKATA! THE SEASON OF CHEER is about to get a lot more cheerful. 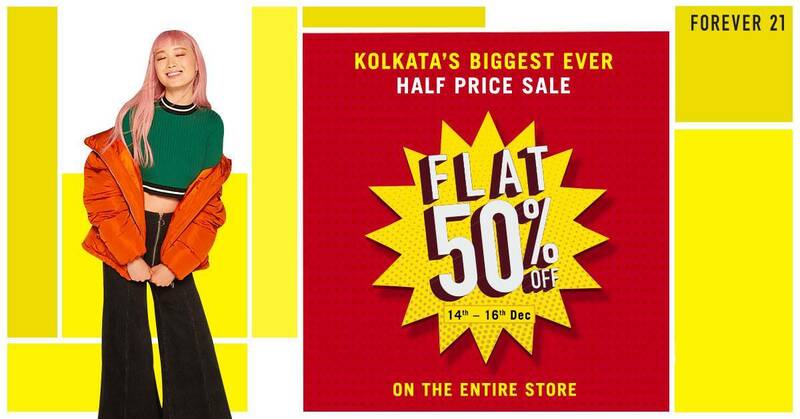 Presenting KOLKATA’S BIGGEST FOREVER 21 SALE EVER! IT’S FLAT 50% on the ENTIRE store at South City Mall Kolkata!